1) Ar. on a chev. sa. three crosses formee or. Crest—The sun surrounded by a rainbow, each end issuing out of clouds all ppr. 2) Ar. on a chev. between three goats pass. sa. as many escallop shells of the first. Crest—A talbot’s head erased ar. crowned with a ducal coronet, or. 3) (Edwd. White Benson, D.D., 1st Bp. of Truro). Ar. a quatrefoil betw. two trefoils slipped in bend sa. betw. double cotises gu. Crest—A bear’s head erased per pale ar. and gu. collared and muzzled of the second, and holding in the mouth a trefoil slipped as in the arms. Motto—Fay bien crain rien. 4) (granted to Thomas Starling Benson, Esq., of North Cray Place, co. Kent). Ar. on a chev. cotised betw. two trefoils in chief and a bear’s head erased in base sa. collared and muzzled or, a sun in splendour betw. two crosses crosslet of the last. Crest—The sun rising from clouds ppr. in front a demi lion gu. charged on the shoulder with a trefoil ar. the sinister paw resting on an escutcheon az. thereon a bear’s head erased of the third collared and muzzled also gu. Motto—Opes parit industria. 5) (Baysbrown, 1546, and Hawkfhead, co. Lancaster). (granted to Robert Benson, of Lodge Lane, Walton, Liverpool, co. Lancaster). Quarterly, erm. and or, a tend engr. gu. surmounted by another plain ar. charged with three trefoils sa. Crest: a bear’s head erased ar. muzzled, gorged with a collar, and pendent therefrom an escutcheon az. charged with a trefoil or. Motto—Si Deus, quis contra. 6) (granted by Hawkins, Ulster, 1714, to William Benson, gent., of the city of Dublin, son and heir of Thomas Benson, late of Dovenby, co. Cumberland, “long since deceased,” descended from a family of considerable antiquity ia those parts). Az. a chev. betw. six cinquefoils or. Crest—A bear’s head couped ppr. muzzled and collared with a chaplet of cinquefoils or. 7) (Lutwyche Hall, co. Salop). Quarterly, 1st and 4th, ar. on a chief wavy az. a band and arm couped supporting on a dagger the scales of justice or, in base a ship in the waves of the sea ppr., for Benson; 2nd and 3rd, ar. a bend. engr. betw. two fleurs-de-lis sa., for Lewin. Crest—A horse pass. caparisoned ppr. on the breast a shield ar. Motto—Leges anna tenent sanctas. 8) (granted to Moses Benson, Esq., merchant, Liverpool). Ar. a frigate or ship in full sail the union ensign flying all ppr., on a chief wavy az. a military officer’s dexter hand ppr. couped below the cuff or, the coat gu., holding a sword erect of the first, hilt gold, bearing the scales of justice betw. two pine apples erect of the second leaved vert. Crest—A military long-tailed chesnut horse richly saddled, caparisoned, bitted, and bridled ppr., saddle cloth az. girth and trapping or, suspended by a ribbon round the horse’s neck a shield ar. charged with a pine-apple ppr. Motto—Leges arma tenent sanctas commercia leges. 9) (Robson Benson, Esq., of Perrymead Court, Somerset). Sa. on a chev. invecteil plain cotised or, three pallets of the first, each charged with a cross patee of the last. Crest—In front of a bear’s head, couped sa. gorged with a collar and muzzled or, two crosses patee also or. 10) (Salisbury, co. Wilts). Ar. three trefoils sa. betw. two bendlets gu. 11) (Baron Bingley, extinct 1730; Robert Benson, Esq., M.P. for the city of York, was so created 1713, d. s. p. m.; his only dau., Hon. Harriet Benson, m. George Lane Fox, Esq., M.P. for the city of York, in whose favour the barony was revived in 1772j. Same Arms. Crest—A bear’s head erased ar. muzzled gu. Supporters—Two bears ar. 12) (as borne on the Archie-episcopal Seal of the Most Rev. 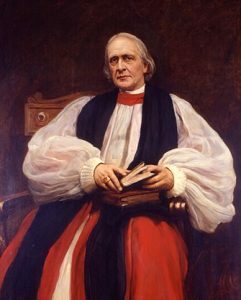 Edward White Benson, D.D., Archbishop of Canter­bury and Lord Primate of All England, 1S83). Arg. three trefoils slipped sa. betw. two bendlets gu. This is an Anglo-Saxon baptismal or patronymic surname meaning “the son of Bennett”, deriving from the personal (first) name Bennett, a version of the masculine given name Benedict, from the medieval nickname or shortened version Ben or Benn popular throughout the British Isles. The name Benedict derives from the Latin Benedictus, which means blsessed. 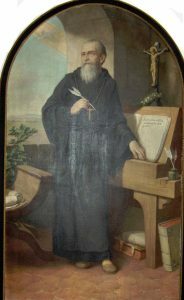 The names popularity in Christendom and the Holy Roman Empire during medieval times and the Middle Ages is owed to St. Benedict (who lived from around 480-550), the founder of the Bendedictine order of monks at Monte Cassino, near Rome, Italy. He was born in Norcia, Umbria, Kingdom of Odoacer in modern day Italy. It can also be a locational or habitational name denoting a person who is from Benson, a place in Oxfordshire, deriving from the Old English Beneingtun, meaning the settlement (tun) associated with Bensesa’, a first name of obsure origin, perhaps deriving from Bana, meaning slayer. Third, it can also be an Askenazic Jewish patronymic name consisting of the pet form of the biblical name Benjamin and the German word sohn (meaning son). The ancient first name Benjamin means “son of my right hand”. The family bears several coats of arms, the oldest being Argent (silver) on a sable (black) chevron three crosses formee or (gold), the crest being the sun surrounded by a rainbow, each end issuing out of the clouds all proper.The family established itself early on in the area around Barrow-in-Furness, Lancashire, England, in modern day United Kingdom. Some spelling variants or names with similar etymologies include Benen, Benison, Bennson, Beanson, Beneson, Benyson, Bensone, Bensson, Beenson, Bengtsson/Bendtsen (Scandinavian, particulary Danish, the Norse first name Bjorn means “bearcub, warrior”), and 80 others. Irish spelling variants of the name include Gildea, Gildee, and Gilday, which were found throughout Ireland. The last name Benson ranks 332nd in popularity in the United Status as of the 2000 Census. The name ranks particularly high in the following three states: Minnesota, South Dakota, and North Dakota. The surname Benson frequency/commonness ranks as follows in the British Isles: England (404th), Scotland (799th), Wales (524th), Ireland (849th) and Northern Ireland (546th). In England, it ranks highest in counties Westmorland and Cumberland. In Scotland, the surname ranks highest in Stirlingshire. In Wales, it ranks highest in Anglesey. In Ireland, it ranks highest in county Sligo. In Northern Ireland, it ranks highest in county Armagh. The name is also present throughout the remainder English speaking world: Canada (738th), New Zealand (686th), Australia (432nd), and South Africa (1,199th). Peter de Benisinton was documented in the Curia Regis Rolls of 12018 AD. A one Henry de Denson was listed in the same county in the locale of Oseney in 1269 AD. John Benneson was recorded in the Court Rolls of the Manor of Wakefield in Yorkshire, England in 1326 AD. The Poll Tax of Yorkshire in 1379 AD lists one bearer of this last name: Germanus Benson. Benson was the surname of the Mayor of Kendal, anciently called Kirkby, a city in northwestern England, in 1644. Thomas Benson was the Rector of Houghton in county Norfolk, England in 1559. Early baptisms involving this last name include William, son of John Benson, at St. Antholin in London in 1570 and Mary, daughter of Peter Benson at St. Michael’s Cornnhill in 1611. An early marriage involving this surname was Agnes Benson to George Stokes at St. James, Clerkenwell. Patrick Benson was Member of Parliament for Perth, Scotland in 1560 AD. Thomase Bensone was a clothier documented in Edinburgh, Scotland in 1651. The lineage or ancestry of this family traces its roots back to one Ralph Benson, Esquire of Lutwyche Hall, a Member of Parliament, who was the son and heir of Moses Benson of Liverpool, England and the grandson of John Benson of Ulverston Furness. He married Barbara, daughter of Thomas Lewin of Cloghans of county Mayo, Ireland and Elizabeth Lewis of Fort Fergus, and had two sons with her as follows: Moses George (his heir) and Ralph Lewin (Rector of Easthope, in 1827, married Amelia St. George Browne, daughter of John Dryer, had two sons named George Sackville and William Ralph). He died in 1845 and was succeeded by his elder son Moses. This Moses George Benson was an Esquire of Lutwyche Hall, Justice of the Peace, and Deputy Lieutenant who was born in 1798. In 1826, he married Charlotte Riou, daughter of Colone Lyde Brown and Dorothy Riou, and had nine children with her as follows: Ralph Augustus (see below), Reverend Edward Riou George (Rector of Hope Bowdler), Philip Riou Henry, Lyde Ernest George, Dora Georgina Harington (married Reverend Frederic J. Richards, Vicar of Boxley), Charlotte Julia Mary, Mary Elizabeth, Fanny Mary, and Madeleine Barba. He died in 1871 and was suggested by his eldest son Ralph. This Ralph Augustus Benson was an Esquire of Lutwyche Hall, Barrister-at-Law, Justice of the Peace, and Recorder of Shresbury who was born in 1828. In 1860, he married Henrietta Selina, daughter of Charles Robert Cockerell of the Royal Army, and had a son with her named Ralph Beaumont, who was born in 1862. The Benson Coat of Arms (mistakenly called the Benson Family Crest or Benson Family Shield by people unfamiliar with heraldry and genealogy) is blazoned in heraldry as follows: Quarterly, 1st and 4th, argent, on waves of the sea an old English galley, all proper, on a chief, wavy, azure, a hand couped at the wrist, supporting on a dagger the scales of justice or, for Benson; 2nd and 3rd, argent a bend engrailed between two fleurs-de-lis, for Lewin. Crest: A horse, caparisoned, passant, proper, on the breast a shield argent. Motto: Lerges arma tenant sanetas. 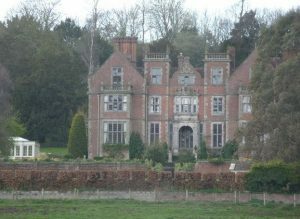 The family was seated at Lutwyche Hall, close to Wenlock, England, in Great Britain or modern day United Kingdom. 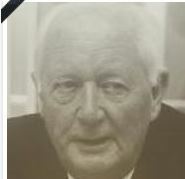 Henry Alexander Benson, Baron Benson, lived from 1909 until 1995, a British accountant born in Johannesburg who was a partner in the firm Coopers & Lybrand and was an advisor to the Bank of England. He was the son of Alexander Benson and Florence Cooper. He served in the Grenadier Guards during World War II. He was created a life peer in 1981. In 1939, he married Anne Virginia Macleod and had three issue with her: Peter (born 1940, also became partner in the same firm), Michael (born 1943), and Phyllida (born 1943, twin of Michael). He passed away in Sussex, England in 1995. Richard Benson was born in Lancashire, England in 1524. He had a son named Thomas who was born in Shiplake, Oxfordshire, England in 1551. He married Maude Warner and had a son with her named John. This John Sr. was born in Caversham, Oxfordshire, England in 1582. He went to colonial America. He married Mary Payton and had a son with her also named John. This son, John Benson Jr. was born in Caverham, England and went to Massachusetts with his father. He married Mary Marie Williams and had fathered five children with her: John III, Mary, Joseph, Martha (Hall), and Abigail. His son John was born in Hingham, Plymouth, MA in 1640. He married Sarah Bass Penniman and had three issue with her as follows: Mary (Gurney), Sarah (Pratt), and Benoni Sr. His son Benoni Sr. was born in Mendon, Massachusetts in 1689. He married Sarah Thayer and Prudence Smith, having the had the following children: Joseph, Sarah (Aldrich), Martha, Susannah, Benoni Jr., and Abigail (Turner). His son Joseph was born in Mendon, MA in 1712. He married Martha Taft and had five sons with her as follows: Moses, Joseph, Aaron, Benjamin, and Abner. His son Corporal Moses Benson was born in Mendon, Worcester, MA in 1732. He fought in the American Revolution. He married Eunice Holbrook and had two sons with her: Peter and Daniel. His son Peter was born in Mendon, MA in 1763. He married Azubah Marsh and had two issue with her: Lyman and Anna (Blandon). He was Lyman Benson was born in 1783 and he married Emilia, having fathered the following children with her: Hannah (Wallace), Sarah (Preston), Laura (Shuttlesorth), Arba Sr., Eliza B. (Kinsman), Betsey, and Hiram. His son Arba Sr. was born in Vermont in 1809. He married Adeline Chapman and had a son with her named Arba Jr. This son Arba Benson Jr. was born in Ionia County, Michigan in 1845. He married Kate Sterzik and had three issue with her: Arthur James, Edward William Sr., and Milo. His son Arthur James was born in Ionia County, Michigan and he married Ada Reading, having a son with her named Virgil. This Virgil A. Benson was born in 1910. Virgil passed away in 1976. A one John Benson was born in 1572. He was the son of Margaret Sandys and an unknown (to history) father. He had a son named Thomas who was born in 1607. Thomas in turn had a son named George who was born in 1636. George had a daughter named Dorothy who was born in 1678. She married Anthony Wilson and had a son with him named Isaac Wilson who was born in High Wray, England in 1715. 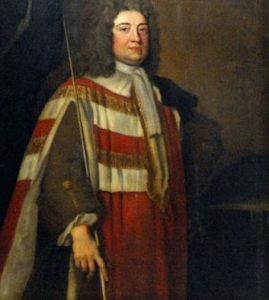 John Benson III, the son of John Benson Jr. mentioned above, was born in Caversham, Oxfordshire, England in around 1634 AD. He married Elizabeth Mary Marsh and had the following issue with her prior to his 1711 passing in Hull, Plymouth, MA: John, Joseph, Isaac, Jacob, Benjamin, William, Elizabeth (Phelps), Hannah, and Martha. His son John was born in Hull, Plymouth, Massachusetts in 1633. He married Elizabeth Briggs and had the following children with her: Mary, Mary, Sarah, Ebenezer, John, Benjamin, Joseph, Bennett, Martha (LeBaron), Caleb, Joshua, and Samuel. His son Joshua Benson was born in Rochester, MA in 1704. He married Sarah Shutleff and had two issue with her: Ichabod and Elizabeth. His son Ichabod was born in Middleborough, MA in 1756. He was a soldier (Private) in the American Revolution and lived in a farm at the base of Bear Mountain. He had a son named Stephen. This Stephen Benson was born in the same town in 1777. Stephen had a daughter named Rebeccah who was born in Livermore, Androscoggin, Maine in 1803. She married Isaac Teague and had a son with him named Benjamin Franklin Teague who was born in Maine in 1831, passing away in 1890, having a daughter named Edith Florence (Harvey). 1) John Benson of Hingham, Massachusetts who came aboard the Confidence from Southampton, England in 1639 at the age of 30, along with his wife Mary and his two small children John and Mary. He had a grant of land in Hingham, MA. 2) John Benson, of Rochester (New York?) who married Elizabeth and had issue named Mary, Sarah, Ebenezer (born 1693), Joseph, Benjamin (born 1697), Bennett (born 1698), Martha, Joshua, Caleb, and Samuel. William Benson, age 28, came to the Barbados aboard the Hopewell in February 1634. Joseph Benson, age 27, came to the St. Christopher’s aboard the William & John in September 1635. Henry Benson, age 19, came to the New World aboard “a Catch to the Downes” (?) in December1635. Henry Benson was recorded as living in Virginia (at West and Sherlow Hundred) in late February 1623. He came to colonial America in 1620, at the age of 40, aboard the Francis Bonaventure. A one Nicholas Blackman, age 40, came as part of his muster in the same vessel. Mary Benson came to the New World (the Carolinas?) aboard the Endeavor in October 1679. Other early settlers in colonial America bearing this surname include Dirck Benson (New Netherlands, later called New York, 1620), Amy Benson (Virginia 1714), Mary Benson (Boston 1744), Thomas (1794), and Jacob Benson (Massachusetts 1799). In Canada, one of the earliest settlers bearing this last name was Edward Benson who came to Nova Scotia in 1749. A one Thomas Benson came to Carbonear, Newfoundland in 1770. In Australia, one of the first bearers of this surname was Hugh Benson, who came to Adelaide aboard the Hooghly in 1848. A one Hannah Benson arrived in the same city the next year aboard the Susannah. In New Zealand, B.J. Benson came to the city of Wellington aboard the Catherine Stuart Forbes in 1840. In 1841, George Benson came to the city of Auckland. 1) Argent on a chevron sable a cross pattée argent. Crest: a sun in splendor. Bookplate Arthur F. Benson, New York. 2) Gules a chevron between three crosses pattée Crest: a goat’s head erased. 3) Or on a saltire sable four annulets argent, the crossing voided and charged with an annulet sable (Leeke arms?) Crest: a chapeau on fire. 1) Captain John Benson of Newport, Rhode Island, 1692. Arms: Or, a bend engrailed gules, charges with three trefoils vert sable. Crest: A bear’s head erased argent, muzzled, gorged with a collar, and pendant therefrom an eschutheon azure, charged with a trefoil or. Motto: Si Deus, quis contra. 2) Charles B. Benson, Esquire of Hudson, New York bore the same arms as Captain John discussed above. Matthew’s American Armoury and Bluebook (1907) does not contain an entry for this name. We have 12 coats of arms for the Benson surname depicted here. These 12 blazons are from Bernard Burke’s book The General Armory of England, Scotland, Ireland, and Wales, which was published in 1848. The bottom of this page contains the blazons, and in many instances contains some historical, geographical, and genealogical about where coat of arms was found and who bore it. There are hundreds of notable people with the Benson surname. This page will mention a handful. Famous people with this last name include: 1) Amber Nicole Benson (1977) who is an American actress, producer, writer, and director born in Birmingham, Alabama who is known for her role in the TV show Buffy the Vampire Slayer, 2) Sir Arthur Edward Trevor Benson (1907-1987) who was a British colonial administrator who was Governor of Northern Rhodesia, fought in World War II, and was born in Johannesburg, South Africa, 3) Brad William Benson (1955) who is a retired football player who played in the NFL for the New York Giants from 1978 to 1987, born in Altoona, Pennsylvania, 4) Carville Dickinson Benson (1872-1929) who was a member of the US House of Representatives from Maryland from 1918-1921, having previously served as the Speaker of the Maryland House of Delegates in 1906, 5) Craig R. Benson (1954) who was the 79th Governor of New Hampshire from 2003-2005, an entrepreneur born in New York City, NY, 6) Douglas Steven Benson (1962) is an American comedian born in San Diego, California who has appeared in numerous movies and TV shows, 7) Edward White Benson (1829-1896) who was the Archbishop of Anterbury from 1883-1896, born in Birmingham, Warwickshire, England, 8) Ezra Taft Benson (1899-1994) who was an American farmer, government official, and the 13th President of The Church of Jesus Christ of Latter-day Saints from 1985-1994, 9) Frank Williamson Benson (1858-1911) was an American Republican politician that was the 12th Governor of Oregon from 1909-1910, having been previously the Secretary of State of said state, born in San Jose, California, 10) George Benson (1889-1973) who was a British Labour Party politician who served as a Member of the Parliament of the United Kingdom for Chesterfield from 1929-1931 and again from 1935-1964, and 11) Ivy Benson (1913-1993) who was an English bandleader and musician born in Holbeck, Leeds, Yorkshire, England who led an all-female swing band. Lutwyche Hall, ShropshireThree of the primary symbols depicted with the Benson Coat of Arms (erroneously called the Benson Family Crest by those unfamiliar with heraldry and genealogy) are the trefoil, cross formee, and bendlet, each which have their own unique meaning. Natural objects abound in heraldry, and one category that gives especial delight are the many flowers and flowering plants that frequently occur. The trefoil may originally been a representation of a specific plant (perhaps shamrock) but it has been used as a symbol almost since the beginning of heraldry and over time has adopted a stylised aspect. Guillim believes that it signifies “perpetuity…the just man shall never wither”. No other symbol appearing in heraldry is subject to as much variation as the cross. Mediaeval Europe was a deeply religious and Christian and many of the nobility wanted to show their devotion by adopting the symbol of the cross as part of the arms. Since no two arms could be identical there arose many variants of the cross, typically involving patterning along the edges, or fanciful, decorative endings to the arms of the cross. The cross formee is typical of these, (also known as a cross pattee) it has arms which broaden out in smooth curves towards the ends. The bend is a distinctive part of the shield, frequently occurring and clearly visible from a distance – it is a broad band running from top left to bottom right. Indeed, so important is the bend that it was the subject of one of the earliest cases before the English Court of Chivalry; the famous case of 1390, Scrope vs Grosvenor had to decide which family were the rightful owners of Azure, a bend or (A blue shield, with yellow bend). The bend is held in high honour and may signify “defence or protection” and often borne by those of high military rank. The Bendlet is quite simply a narrower version of the bend, and there may be a small number of these present.